Local homes developer Lovell inspired South Wales students visiting Cardiff’s Apprenticeships Work! event by setting them a housebuilding challenge. 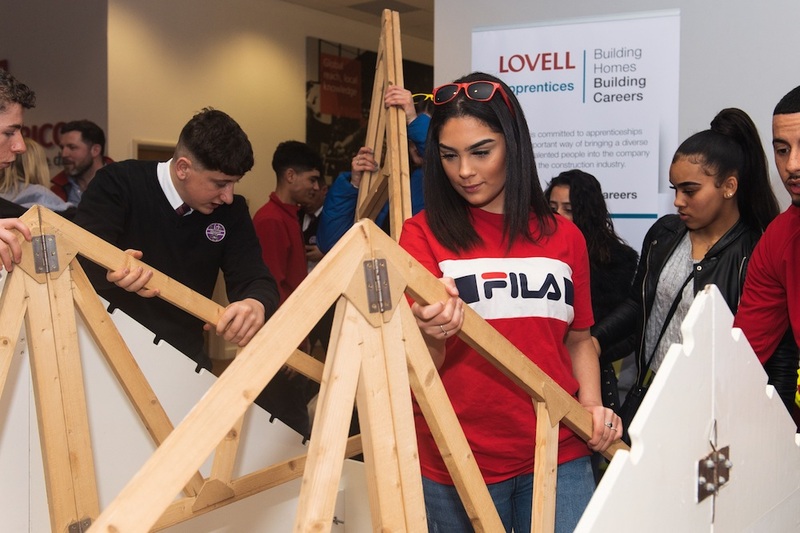 The Cardiff City Stadium careers fair enabled Year 10 and 11 students, sixth formers and college student to meet the Lovell team, talk to some of the company’s current apprentices and find out about opportunities to build their own careers through an apprenticeship. They also enjoyed a small taste of hands-on construction via the Lovell House activity – the chance to build a mini wooden house. “It was fantastic to meet so many students excited by the prospect of a career in the industry at the Apprenticeship Works! Event,” says Lovell project skills coordinator Nicola Murray. 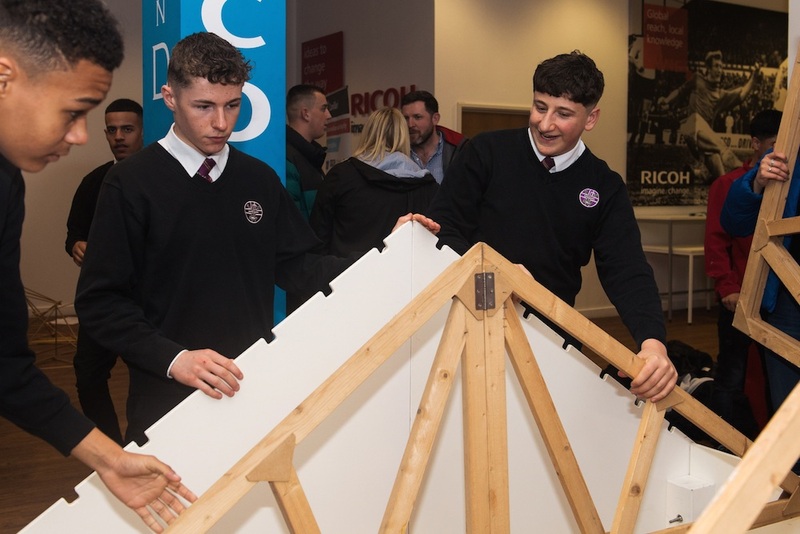 “Encouraging young people to understand the diverse opportunities which construction offers is crucial to bring the next generation of construction professionals into our industry. 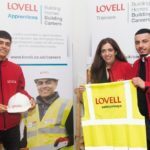 Having supported and trained 22 apprentices in South Wales over the past two years, Lovell expects to take on three graduates and two apprentices, along with trainees, in the next six months. Its teams are working on high-profile construction schemes across the region, including The Mill, Canton – a £100 million new urban village in West Cardiff which is one of Wales’ largest regeneration programmes. Header image: Lovell apprentice Otis Simpson, project skills coordinator Nicola Murray and assistant site manager Jacob Scott at the Apprenticeships Work! event. Previous : Airspace development: Is the only way up?